I have become quite the fan of cauliflower rice over the last year and a half, it is SUCH a great substitution to regular white rice, and after you make it a few times you realize it really isn’t that hard! You can make it with a head of fresh cauliflower, or my go to, a bag of frozen cauliflower. I like to keep a couple of bags on hand in my freezer just in case there is a night I need it! Another reason I am a big fan of caulirice, is that it is super versatile and you can add different seasonings and flavors to get the perfect side dish! This cilantro lime rice I have seen here and there on different posts online, but I basically just started from Melissa Hartwig’s Whole30 Recipe Book and then made a couple of changes to accompany my beef fajita bowls that I made the same night! 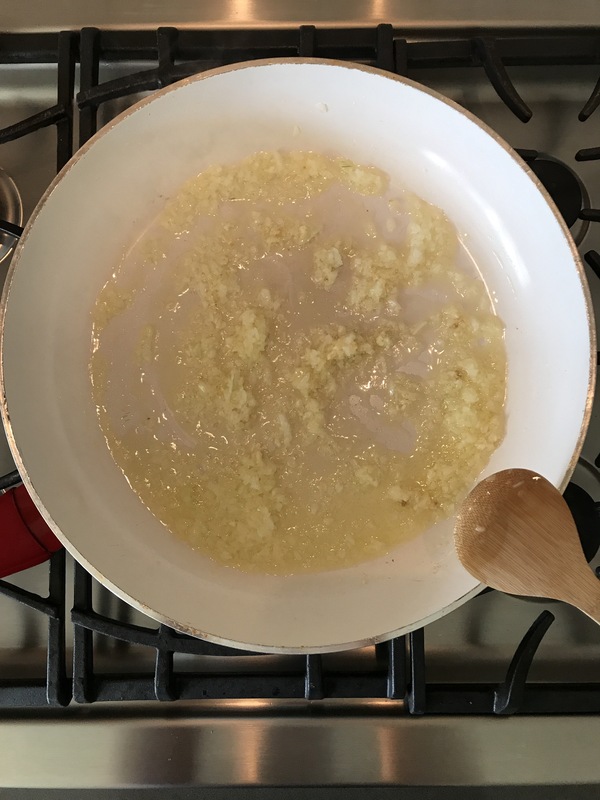 Melt the ghee in a large skillet, adding the yellow onion and garlic. Let this cook for a few minutes. Pulse the cauliflower in a food processor to get it to rice size pieces. I use my Ninja Chopper because it is just quick and easy! (and Yes, I know I say this ALL the time hahah!) Add the cauliflower to the skillet. Add the 1/2 cup of chicken broth, salt and pepper to taste and let this cook for a few minutes, stirring occasionally. 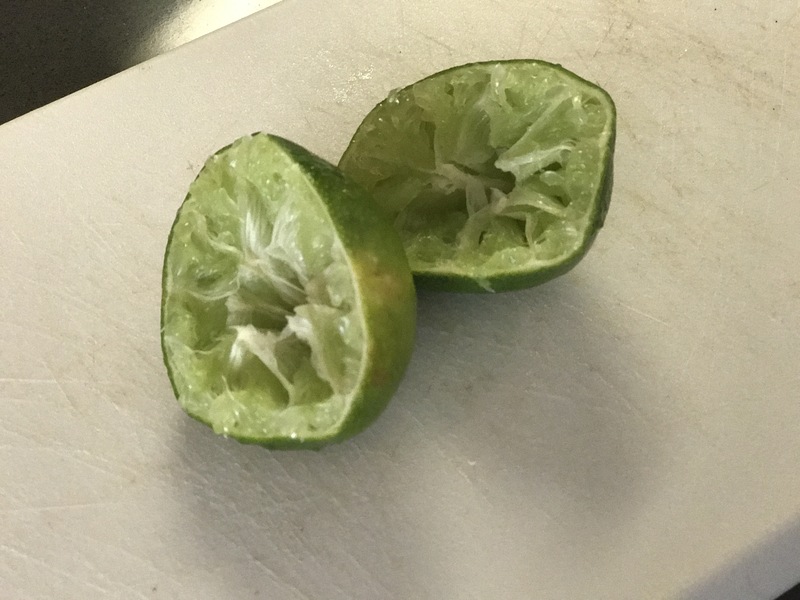 Add the juice from one lime and as much chopped cilantro as you like to the skillet. Keep stirring until everything is mixed well and cooked through. I personally like my caulirice cooked pretty thoroughly, almost a little crispy here and there! Enjoy! 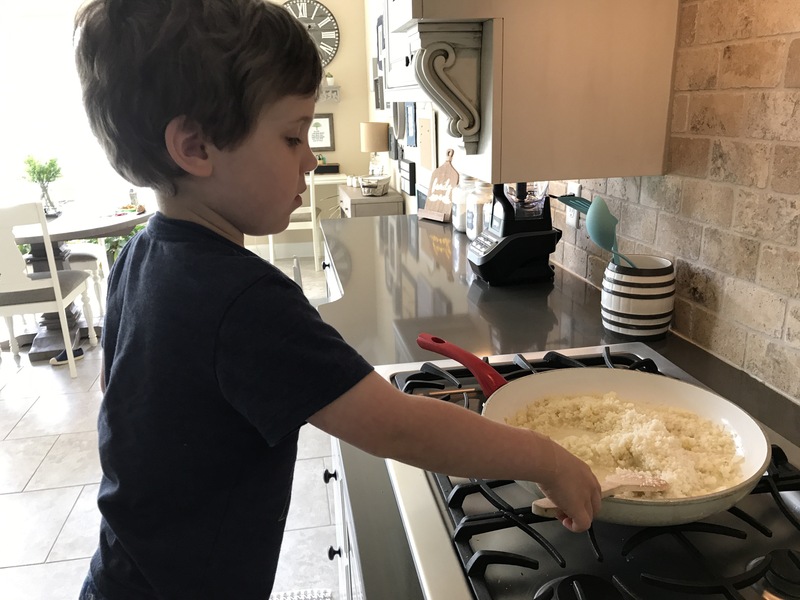 My little man has been loving to help me cook lately! Like I mentioned earlier, I used this as my base for beef fajita bowls (post coming soon!) and it was delicious! I love being able to eat “rice” but not have that heavy, carb coma afterwards! It’s a great alternative and great reheated…you should give it a try!